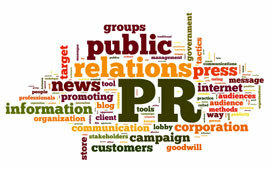 Over the years, there has been more wool pulled over people’s eyes about PR than is acceptable and in this two part article, we hope to dispel some of the myths, legends and confusion that surround it. But first, it is worth stepping back a little from the subject to mention that every business has relations with many different “publics” who all have to be dealt with appropriately. And to each one you have to impart information in a manner most likely to get the message across, each requiring a different approach – or “public” relationship. However, in this first of two articles, we will concentrate on the first two of the above publics. 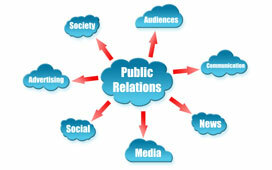 In terms of growing your business, they are the most important so we will deal with media relations, where you utilise the media to tell your customers – the people who pay you – what it is they need to know about your business that will encourage them to trade with you. Gaining coverage in the media is the single most important brand building tactic in marketing. When a magazine publishes details about your product or service, it is conferring credibility upon it, as the reader sees it as the view of the magazine. However, getting the information to be published is not always so easy. There are a number of methods that can be employed but we will deal with the one that is the most popular – the press release. Anyone who can write English should be able to and if you don’t have the funds to employ professionals to do it for you, there’s no reason why you shouldn’t try. It just requires a methodical approach. - After that line, a paragraph titled “Notes to Editors” provides basic information about the company, including when and where it was founded, what business the company is in, and any awards or other recognition or success the company has had. At the end of this paragraph, the contact information, including the company’s web address, should be included. This isn’t meant to be a comprehensive tutorial on PR – after all, there are books on the subject – and we would be happy to explain more about it if you feel that your marketing is missing out on its most important ally.